Suresh Raina's first century since 2010 and Ravindra Jadeja's 4/28 helped India register a commanding 133-run win against England (D/L method) in the second of five ODIs. 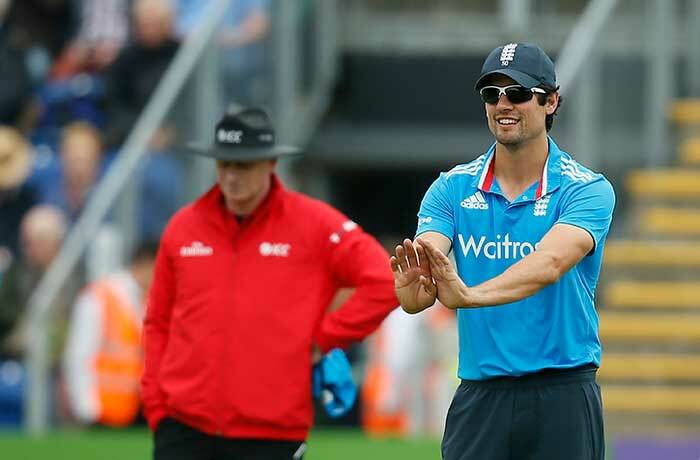 England captain Alastair Cook had a wide smile on his face as his team got off to a superb start after winning the toss and opting to bowl. Shikhar Dhawan (11) and Virat Kohli (0) were removed in quick succession - in the eight over of the innings. Rohit Sharma played a steady knock from his end and hit a confident 52 off 87 to anchor the innings. Rohit hit four boundaries and a six and put on 91 for the third wicket with Ajinkya Rahane. 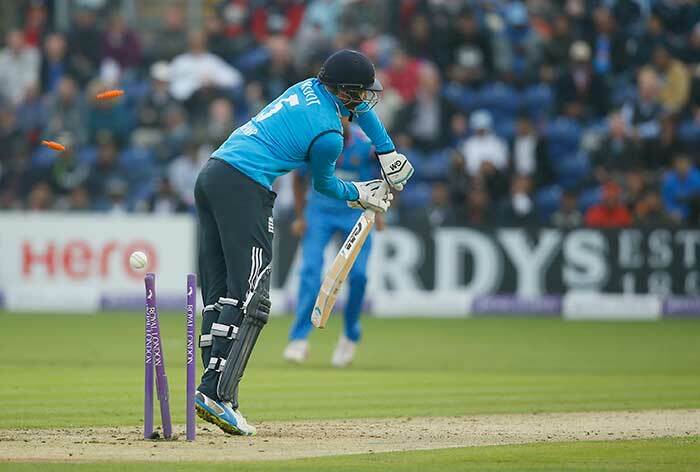 Rahane too looked good to reach his half-century but was stumped by Jos Buttler off James Tredwell's bowling. He scored 41 off 47. Rohit Sharma eventually fell for 52 with England threatening to make a comeback. 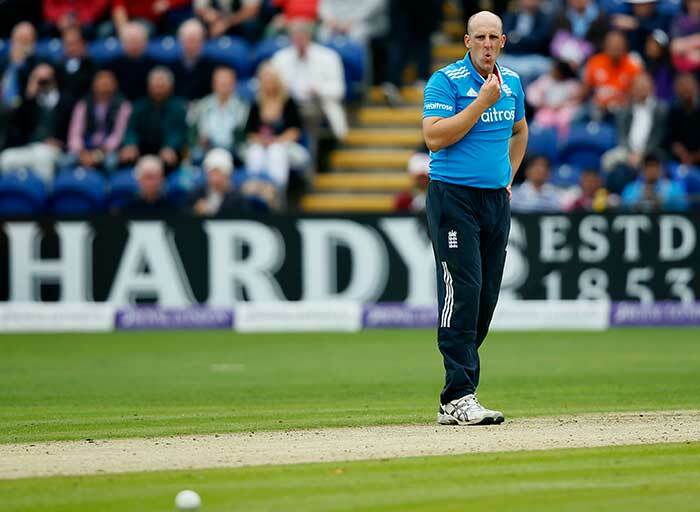 Tredwell was responsible for dismissing both Rohit as well as Rahane. In walked Raina at No. 5 and systematically took the game away from England. 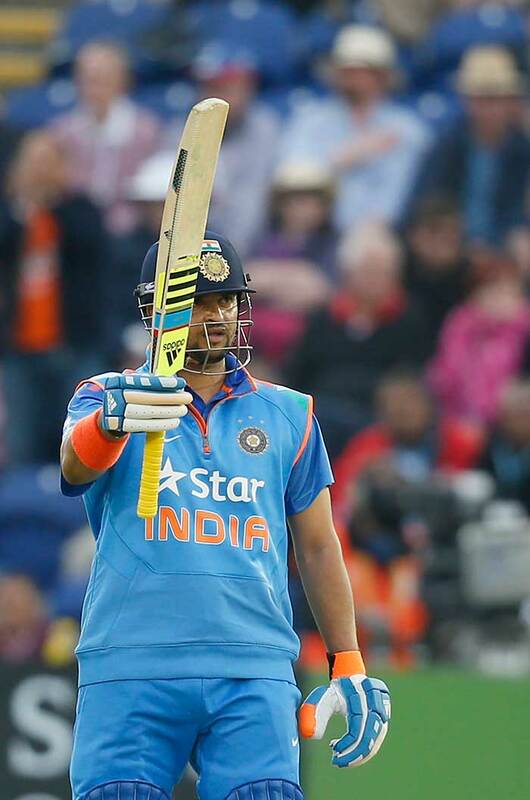 Raina began on a cautious note but eventually managed to complete his fifty off 49 deliveries. India's cause was further helped by skipper Mahendra Singh Dhoni who hit 52 off 51. The two batsman put on 144 runs for the fifth wicket. 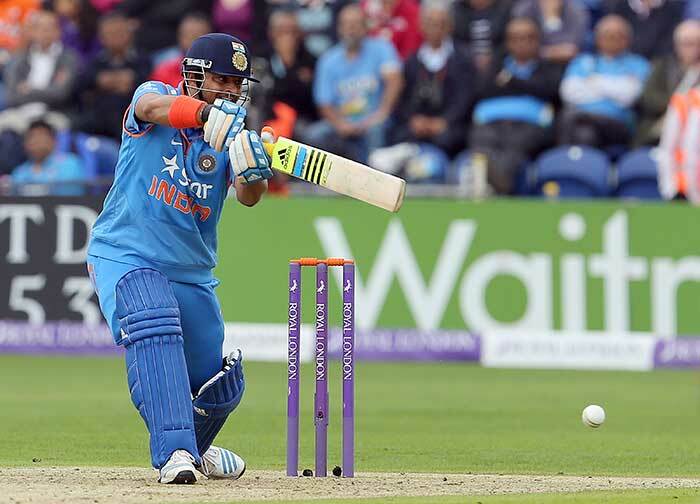 Raina (R) and Dhoni hit boundaries at will and scored 62 from the final powerplay overs. 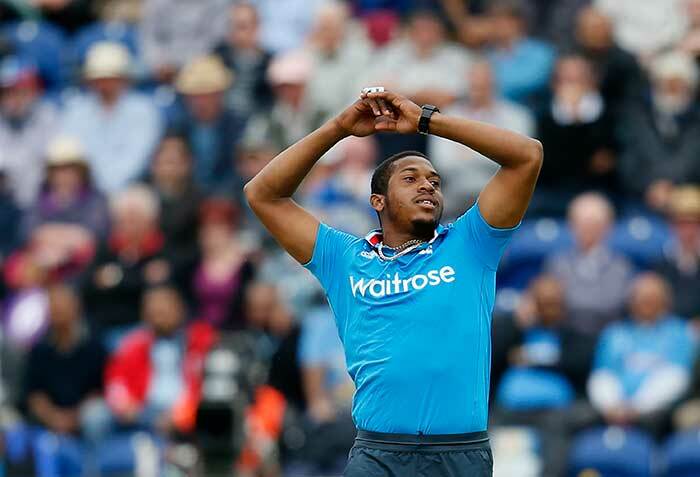 While Raina eventually fell to Woakes - the bowler took four wickets, Dhoni was outfoxed by a slower delivery. The damage though was done by then as India finished with 304 runs on the board. Mohammad Shami gave England a massive jolt early into the chase. He removed Cook (19) and Ian Bell (1) in the 11th over. Bhuvneshwa Kumar too contributed. He dismissed Joe Root for 4. 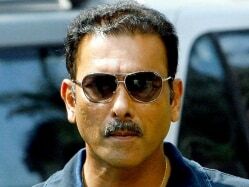 In fact, Indian bowlers continued to claim England wickets at regular intervals. The real architect of England's downfall was Ravindra Jadeja. The bowler claimed four wickets to eventually force the hosts to surrender on 161 runs.